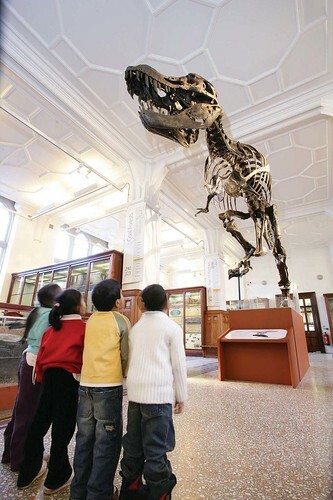 Manchester Museum is part of The University of Manchester and provides a unique opportunity for pupils to engage with collections and experts across a variety of subjects. Museum staff, in partnership with University academics lead a range of hands-on sessions with our collections to enhance the curriculum. We work with young people of all ages, from Early Years through to Post-16 and beyond. Visit our learning pages on Manchester Museum website to find out what we offer to schools and colleges in the Greater Manchester area. Feel free to get in touch if you have any specific requests or if your school would like a visit from one of our team; we would love to hear from you. There are lots of other ways you can keep in touch with the different activities of Manchester Museum. Firstly, you can become a regular visitor to our main website, where we have information on visiting, exhibitions and events programming. We also flag up new developments on the galleries as well as providing our collections online for you to look through. You can also sign up to our e-newsletters for Secondary & Post-16, Early Years & Primary and Events. In the world of social networking, you can find the Museum on Facebook and Twitter, and follow news about the Learning and Engagement news on our dedicated Twitter account. This learning blog is one of a number overseen by different museum staff. On this page on our main website, you can follow all of them in one place, or you can choose to follow the particular blog that interests you the most. We can be found on Flickr, where there are a number of great images of and from the collection. If you have images of Manchester Museum, why not join our Flickr group, and share them with the world. On YouTube you can find lots of our ‘Collective Conversations’ with our local communities and schools, sharing their stories and experiences about the objects within out collection. The museum is always looking for ways to use the web to raise awareness and to encourage people to share their experiences, images and films about the Museum. If you have anything you would like to share/discuss/recommend, please either comment below or use one of the links above. 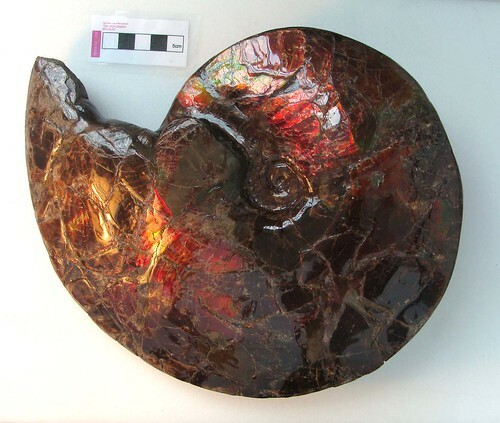 Image, An ammonite preserved in ammolite. Ammolite is made from crushed ammonite shells.